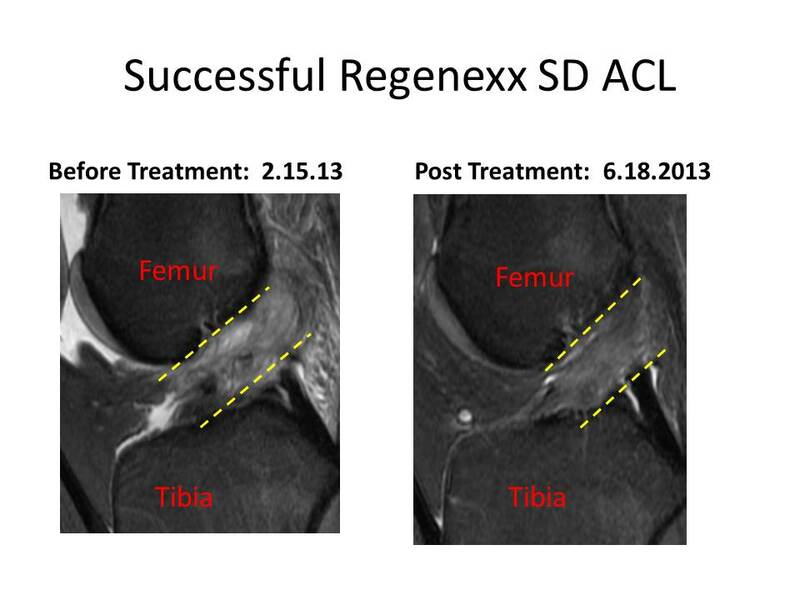 At the Centeno-Schultz Clinic we acknowledge that tears in the ACL can be game changers. Tears can lead to knee instability, restriction in range in motion, pain, injury to the meniscus and cartilage along with bone bruising. 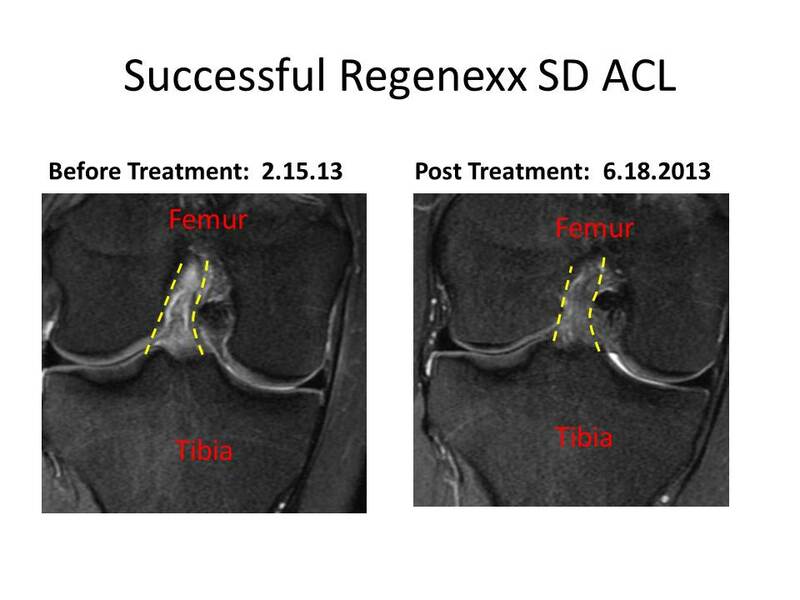 We have previously blogged on the successful treatment of ACL tears with Regenexx SD, an autologous bone marrow derived stem cell therapy. MM is our most recent success story. MM is a 16 y/o national Olympic soccer player who sustained a partial tear of her right ACL when the goalie struck MM’s leg. Physical examination was signficant positive Lachman. MRI was signficant tear of the anteriormedial original of ACL, bony contusion on tibia and a signficant effusion. Patient declined surgery and opted to stem cell therapy. She underwent Regenexx SD on 3.26.2013. Clinically she now notes signficant stability and reduction in pain. Below are the pre and post MRI’s. The first images are sagittal. (side view). On the pre treatment MRI(left) note the disorganized fibers of the ACL which is outlined in yellow are disorganized and difficult to seen. On the right which is 3 months post injection, the ACL fibers are organized, visible and taunt. Congratulations to MM and her family.